The Cadillac ATS sedan gave the BMW 3 Series and Mercedes-Benz C-Class a run for the money when it came on the scene a couple of years back with distinctive design, lightweight construction and agile handling. 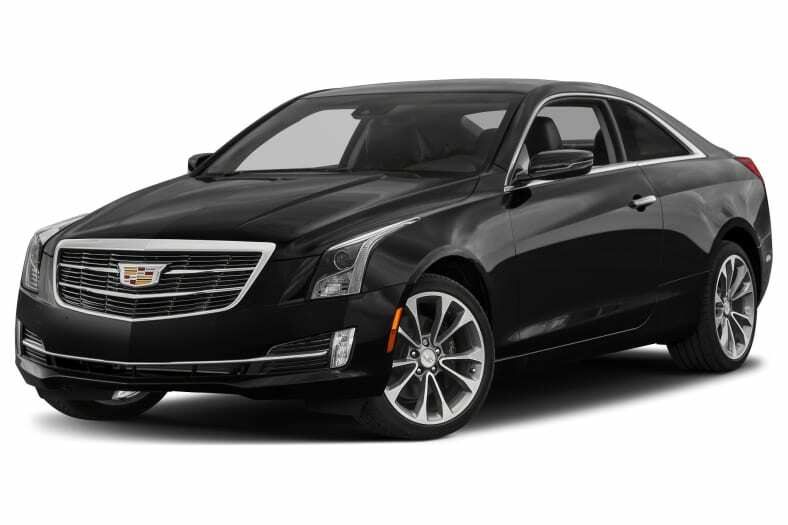 The 2015 Cadillac ATS lineup gets updated features, a freshened look and a sleek, sporty coupe. The Cadillac ATS coupe rides on the same platform as the sedan, though it gets its own bodywork and sits about an inch lower, with a wider track (the space between the left and right wheels). The only sheet metal the ATS coupe shares with the sedan is the hood. Everything else has been widened and elongated, from the modern take on Cadillac's signature egg carton grille to the rear bumper. Coupes also get fatter steering wheels, wider rear tires and a performance-tuned rear suspension. Also debuting on the 2015 ATS lineup is Cadillac's new crest, a reinterpretation of the logo that was based on the family coat of arms of Detroit founder (take a deep breath) Antoine Laumet de La Mothe, sieur de Cadillac. The new crest is a more modern take, ditching the laurel wreath in favor of a lower and wider shape, with a straight-edged top line and a distinct angular lower line. A host of new or updated tech features can be added to the 2015 Cadillac ATS. Wireless 4G LTE connectivity turns the ATS into a hotspot for WiFi-enabled devices, powered by AT&T (a separate data plan is required). A wireless charging system lets users charge a compatible smartphone by simply placing it in the charging tray, as long as the phone is equipped with a special case. Cadillac's CUE infotainment system is also updated, and now includes text message alerts. New safety features for 2015 include an optional lane keep assist, which will automatically help guide drivers back into their lanes if they drift. An automatic safety belt tightening feature will take up any slack during fast stops, or if the system calculates a collision is possible. As before, the Cadillac ATS sedan comes with three engine choices. The base model gets a 2.5-liter naturally aspirated inline-4, good for 202 horsepower and 191 pound-feet of torque. It's the least expensive and slowest of the bunch, with a manufacturer estimated 0-60 mph time of 7.5 seconds. An updated version of the 2.0-liter turbocharged inline-4 makes 272 hp and gets an increase in torque for 2015 to 295 lb.-ft., making for peppier acceleration. The top-of-the-line powertrain is GM's 3.6-liter naturally aspirated V6, good in this application for 321 hp and 275 lb-ft. of torque, which propels the ATS from 0-60 mph in just 5.4 seconds. Coupes are only available with the 2.0-liter turbocharged I4 or the 3.6-liter V6. Most models come standard with a 6-speed transmission, though a 6-speed manual is available on some trims with the 2.0-liter turbo. Each of these engines, whether on the sedan or coupe, can be equipped with all-wheel drive.